The video below briefly explains what you should do to control your HomeSeer smarthome system using mobile devices – iOS- or Android-based. It isn’t complicated and follow by DIY ideology. With that approach you may replace expensive touchscreen panel by your smartphone or tablet, which save your money and makes control process handy. 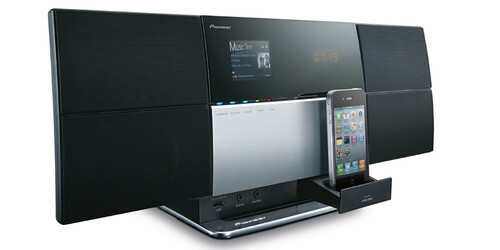 Pioneer offers a really amazing product – X-SMC3-S Music Tap. It plays audio content from almost all kinds of sources except tape, of course. The device supports AirPlay and DLNA (thanks built-in WiFi and Ethernet) and sports 2.5″ color LCD screen, FM tuner, iPhone/iPod dock and USB port. 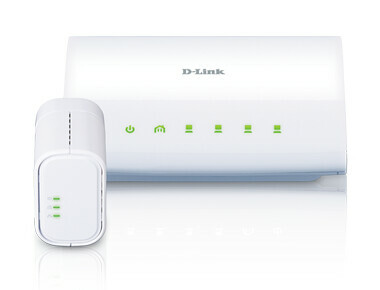 It can communicate by Bluetooth as well with optional AS-BT200 adapter). Stylish design, wide range of media sources, good quality of sound and reasonable price ($399.00) make the X-SMC3-S Music Tap of a good choice for compact home audio system. D-Link announced its new PowerLine adapters – single adapter unit DHP-310AV ($59.99), AV Mini Adapter Starter Kit DHP-311AV ($109.99) with two units and AV 4-Port Switch Mini Adapter Starter Kit DHP-348AV ($129.99). Those adapters can give up to 200Mbps speeds over existing electrical wiring (should be enough even for 1080p streaming). Which together with non-expensive price and slim design makes new D-Link products very attractive in case you don’t want additional wiring for your home network. 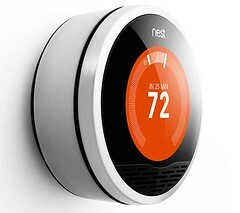 Californian start-up Nest Labs launched world’s first learning thermostat Nest. It looks very attractive and uses the same approach for user interaction as iPod (company’s founders – two ex-Apple employees from the iPod team). The thermostat is extremely simple in installation and easy in use. Moreover, it learns your temperature preferences during the fist week and then starts build the temperature schedule automatically based on previous data. Sure you have ability to adjust it manually. Thanks to built-in WiFi adapter and special apps you may control the Nest from iOS or Android devices as well as from web-based interface. 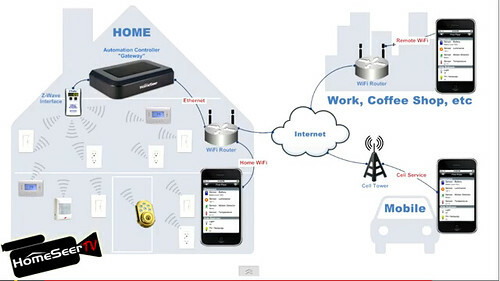 Also it can be integrated to the whole home automation system. The thermostat Nest will be available in the middle of November at $249.00. Taking into account its price, design, learning feature and DIY segmentation we can say that it’s possible the best approach for your apartments or house to add climate-control and save money. Check a few demo videos after break. 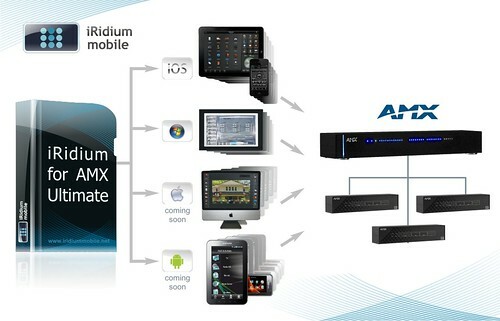 iRidium mobile Ltd. – a dedicated software provider for home automation control solutions – introduced a New Type of License – Ultimate License for AMX. It is a license which is bound to an AMX controller (or to a network of AMX controllers) enabling you to control from an UNLIMITED number of control panels (iOS or Windows XP/7). It is very, very convenient… Ultimate License is an amazing option for my business!” said Dmitry Ryzhkov, Technical Director at Seetouch. iRidium Ultimate License for AMX has been made on request of dealers and installers worldwide to simplify installation and maintenance of ambitious AMX projects.